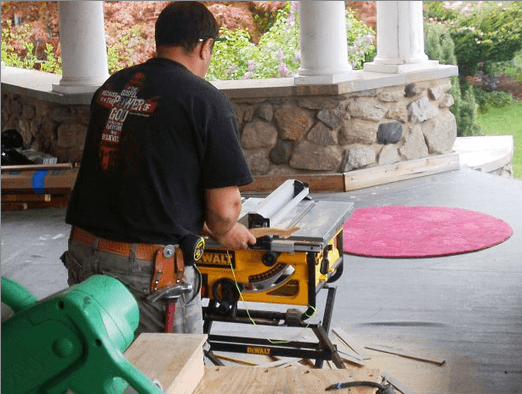 With all the other hubbub that pops up when you decide to renovate your home or yard, it’s sometimes tempting to hire the first contractor that sounds good on paper or in person. After all, if you’ve checked a few references and the contractor’s licensing status and all seems well, why wouldn’t you proceed? Actually, there’s a few reasons. One, trust is hard to come by for anyone, and especially for the homeowner-contractor relationship. It takes time to build up that trust, and one or two interviews might not be enough. Two, just because someone looks good in black and white doesn’t mean those words are a true representation of the person. More research must be done. 1. Going with the lowest bid. It’s tempting, I know. You’re on a budget and the cost of your remodel is killing you. My husband, a tile contractor, often tells homeowners that they must live with the work a contractor does for as long as the homeowner lives in the house. The cheapest bid can mean that corners are cut and the work will look shoddy within a year – leaving you, the homeowner to look at it for eons to come. This doesn’t mean you go with the highest bid either. What it does imply is that you look carefully at what you’re getting for the price. What value are you receiving in return for your money? What is the workmanship, the materials used, and the warranty situation? Ask about the installation method and the subcontractors your contractor will use. What good is a cheap tile job, for instance, if the installation stinks and the grout cracks a few years later? Finally, when you do compare bids, make sure you’re comparing apples to apples. If one contractor bid for hot mopping for instance, and the other did not, it’s important to take note. 2. Not thoroughly checking references. — Were you happy with the work and the time it took to complete? — Did the contractor communicate with you regularly? — Was he easy to reach? — Did the contractor honor the contract’s terms and promises? — If requested corrections or changes, were they made willingly? — Would you hire the contractor again? — What was the original construction budget? — What was the final construction budget? You can also check out your potential contractor with the Better Business Bureau, local building department, applicable trade association and consumer protection agencies in your area. The proliferation of social media also means you can search for your contractor’s name or business and see if anything is said about him by former customers. If you’re really being diligent, talk to the business people your contractor does business with on a regular basis. These people include the owners of tile shops, design showrooms, home improvement centers, and so on. Ask about a contractor’s reputation, word of mouth feedback, and reliability with paying his materials bills. 3. Not checking for proper documentation. Bear with me now, because there are quite a few documents you’ll want to check here. First, check the contractor’s license status although that’s pretty common. Also verify that the contractor has all the necessary insurance coverage, including Worker’s Compensation insurance if he has employees (if he doesn’t have it, the contractor or any of his employees who get hurt on the job can go after you personally to pay for medical bills); and general liability insurance (a one-million-dollar policy is considered quite standard). Make sure your contractor also requires the same coverage from any subcontractors that will be working on your home. You can contact the corresponding agencies to confirm coverage although a reputable contractor should be glad to show you documentation from the insurance company. You can also check professional organization affiliations such as the NARI (National Association of the Remodeling Industry) or NAHB (National Association of Home Builders), where prior to membership, the contractor’s background and references are checked comprehensively. Finally, verify that the contractor maintains a permanent physical business address beyond a PO box and has a published phone number. 4. Not being clear with what you want. Get real with yourself here. Have you written down exactly what you want the end product to look like when it’s complete? 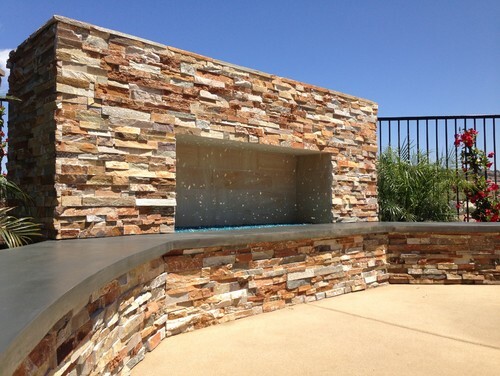 If you want a rustic look, that requires different materials and installation approaches than the contractor may have had in mind when initially speaking with you about the job. Be as specific as possible with how you want your home to look when all is said and done. Even though it’s inevitable that you’ll change your mind about something, it typically results in a change order, which adds costs to the project. Also, keep in mind that some projects require an architect, an interior designer, landscape architect, etc. and all these people and elements need to be aligned before you hire a contractor so he can catch issues before they become enormous problems. 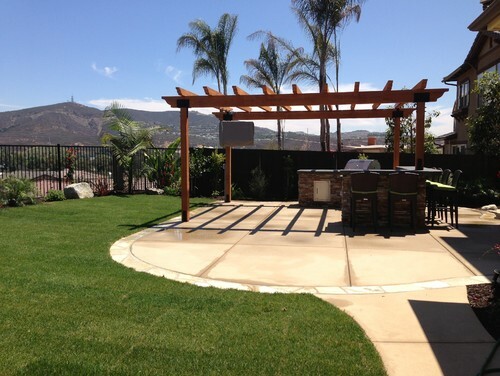 If the contractor is clear with your vision, that will result in a more thorough and realistic contract. 5. Not checking that the contractor has done work similar to what you DO want. A contractor can be perfectly competent and reliable, but has he installed a pool like the one you want? Does he do the type of high-end, customer work you’re craving? The only way to really know is to visit past jobs – or jobs in progress. Plus, by stopping by a job the contractor currently runs, you’ll see how he works, who his subcontractors are, and if you can live with all that once the contractor is on your job. For instance, are the carpets protected? How clean is the job site? Is the contractor even ON the job? All this gives you a clear picture of what type of contractor you are considering hiring. 6. Not trusting your gut. This might be too woo-woo for some of you, but if you have a nagging feeling despite all the references, certifications, and documentations checking out, listen to that feeling. Your instincts are never wrong. It doesn’t have to mean that the contractor is bad either, that gut feeling may just be telling you that he’s not the right one for you or your job. If your internal radar picks up some interference, trust it and find another contractor that hits you right on all cylinders. 7. Taking oral agreements as the gospel. I’m going to assume you’ve insisted on a written contract that includes a detailed description of the project, scope of work, plans, materials, quantities, start and completion dates, and a payment schedule. However, your contract should also clearly outline how changes in work orders will be handled and the notice required for cancellation. A contractor might verbally explain these processes, but you need to have them in black and white. As for the payment schedule, be sure it’s written down that payment happens at different stages depending on the completion of specific aspects of the project. Have it recorded in the contract that final payment is due upon completion and your satisfaction. Finally, get a warranty in writing. The warranty should clearly spell out what is covered and what is not and how long the warranty is good for. A two-year warranty is ideal, but one year is pretty standard. 8. Signing a contract that you don’t completely understand. There are no dumb questions and all that stuff. If you are unclear about something – anything – in the contract, call the contractor and have him explain it to you before moving ahead with the project. 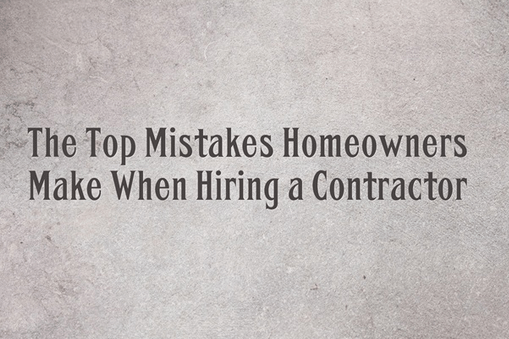 Sometimes the lack of clarity comes from the fact that there’s not enough detail in the contract and other times, it can spring from your own misunderstanding of contractor terms. Just ask. You’d rather have the answer now rather than later when it results in change orders or additional money spent. 9. Putting down a large down payment. Each state regulates the amount of money a contractor can legally ask for prior to starting a project. In many cases, 10% down is standard. If a contractor asks for a big down payment, it might suggest he doesn’t have enough money for overhead or to pay for materials, and those are not good signs. 10. Not asking for lien waivers. Lien waivers waives the contractor’s claim to future payments for the project. Good practice is that general contractors provide waivers for all the workers that supplied labor for your job. If lien waivers are not supplied, subcontractors and suppliers could take you to court to force you to sell your home to pay unpaid bills from your project. Protect yourself by asking the contractor, and every subcontractor and supplier, to sign lien release waivers. Most licensed contractors are reliable and competent, but you should also know that home improvement is among the top category of consumer complaints nationwide. Your due diligence and attention to detail will pay off in helping you avoid those mistakes that lead to bad remodeling experiences. Have you been disappointed by a contractor?